The Ultimate Crowd Pleaser Just so Happens to be Snack Ready! 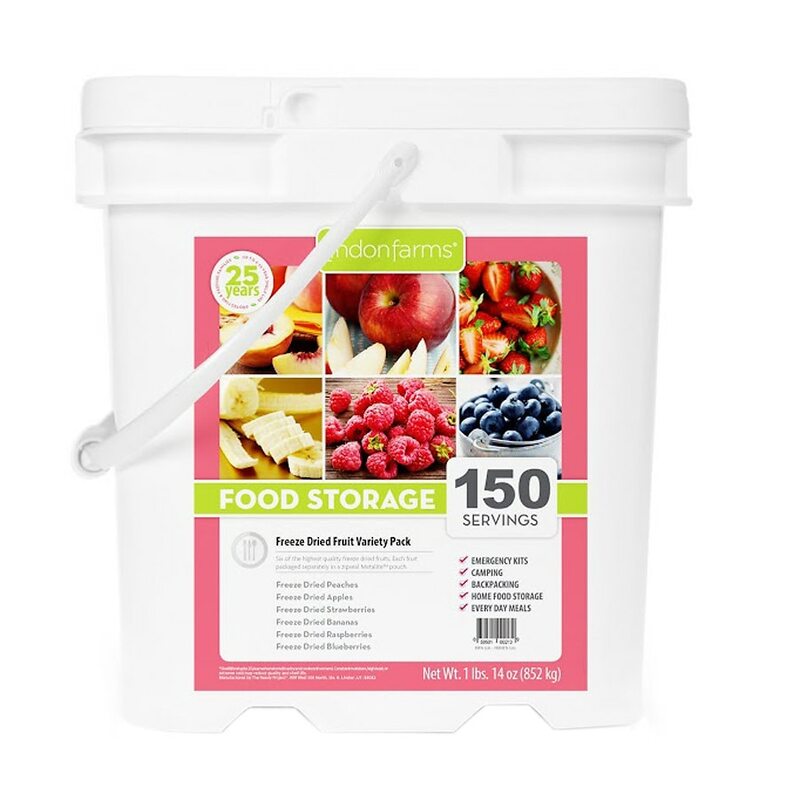 Introducing Lindon Farms 150 Serving Freeze Dried Fruit Kit! Our mouthwatering fruit selection is guaranteed to have the whole family eating their fair share of vitamins and nutrients. With elite zip seal Metalite packages and up to a 25-year shelf life, this fruit is the perfect on-the-go snack. Plus it's ready to eat straight from the package! Add these fruits to cold or hot cereals, trail mix or try it out in a pie or dessert! Don't miss out on this opportunity to add these flavorsome fruit options to your preparedness supplies. Freeze drying is the process of freezing water out of a food product then rapidly turning it into a gas, omitting the liquid stage. Most fruit and vegetables are made out of 80% to 90% water, making freeze drying the ultimate light weight option. Once the freeze drying process is completed, the water, (up to 90% of a product like strawberries), is effectively removed thus making the product drastically lighter but maintaining most of its original shape, color, flavor, nutrients, and maximizing shelf life. Freeze Dried products have quick re-hydration times normally only about five minutes.